Lights Resolve is on a rocking winning streak, playing with Deftones at Kahbang Festival last month, and Foo Fighters and Pearl Jam (among others) at Deluna Fest in Florida last weekend. Tonight, they continue sharing the stage with heavy hitter rock acts with Ghostwolf (featuring SA from 311) at The Gramery Theatre. 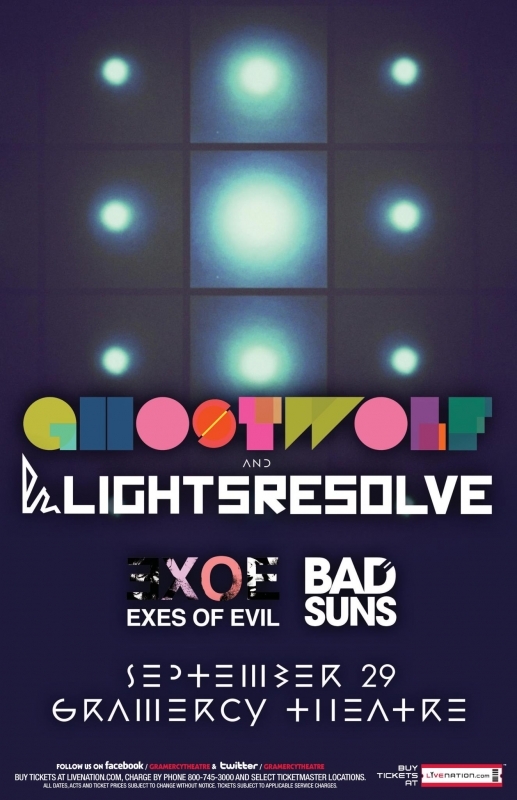 Also playing are Lights Resolve’s buddies, Exes of Evil and Bad Suns. Get there early if you’ve yet to get a ticket and to find out how you c an get vouchers for FREE GBX shoes….what New Yorker doesn’t like that? Doors at 7pm, 16+! WWRSD? : Social Hero at Pianos TONIGHT. Release show!